Hygienist Treatments – What’s the Difference Between a Hygenist and Your Dentist? When it comes to the health of our teeth, many of us would ideally do all we can to ensure our teeth and gums remain as healthy as possible. Toothache is an extremely painful condition which can cause a great deal of discomfort and distress. Visiting the dentist however, or rather even the prospect of visiting the dentist, is something that strikes fear into the souls of people all over the world. By contrast, the word ‘hygienist’ has a far less sinister ring to it. In fact, many people, initially traumatised by the idea of visiting their dentist, are far happier to visit their dental hygienist, and are finding the experience far less traumatic than they would have at first initially thought. Most people don’t realise this, but dentists and dental hygienists have very different roles and provide very different treatments. Here’s a more in-depth look to help clear things up once and for all. As we mentioned, dentists and dental hygienists are actually quite different to one another and have very different roles and responsibilities. Dentists tend to study for longer periods of time than dental hygienists, because their roles are far more encompassing. They are ‘doctors of the teeth’ and as such, they are the equivalent of our GP, legally able to write out prescriptions, perform surgical procedures such as injections, and administer local anaesthetics before giving fillings and root canal treatments etc. A dental hygienist tends to study for a shorter duration of time as they provide more specifically targeted services based upon hygiene of the mouth, teeth and the underlying structures – ie, the teeth just below the gumline. Depending on the level of their qualification and experience, your hygienist will perform whitening services, provide deep cleaning techniques, will do sealants, and some are also licensed to carry out injections too. They are not legal doctors and work under the supervision of dentists. Their jobs are no less meaningful and relevant than the dentist, a good dentist and hygienist will work together in tandem to make their practice a more effective, safe, and efficient place for their clientele – ie, you. Counselling and informing patients about proper nutrition and how it can affect oral health. Carrying out patient screening procedures such as assessing their current oral health, reviewing their oral health history, inspecting the areas to be treated, and carrying out tests such as blood pressure. Applying treatments to the teeth such as whitening agents, fluorides, and sealants. Recommending products and techniques designed to improve oral health. Why see a hygienist? – The main reason to see a hygienist is to ensure that your teeth and gums are as well protected and as healthy as they can possibly be. 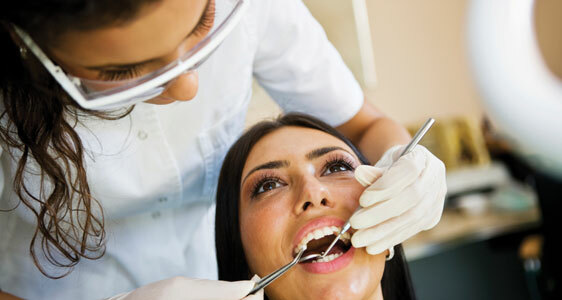 A hygienist will provide treatments and services that will improve oral health, as well as teach you techniques and recommend products designed to benefit your teeth and gums as well. They’re especially knowledgeable when it comes to periodontal (gum) disease. Gum disease is common but can lead to numerous health complications if left untreated. Your hygienist will advise you on what you can do to prevent and treat gum disease, and will perform numerous services and techniques such as removing excess plaque or providing a ‘deep clean’ underneath the gum line to remove bacteria and help manage or clear up the problem as well. If your hygienist has told you you may be suffering from periodontitis, or if you are worried you may have gum disease, please do contact me for an initial consultation. Did you know you can see a specialist periodontist without needing to wait for a referral from your dentist or hygienist? Next Next post: Halitosis, also known as bad breath – What are the causes and how is it treated?